We love apple muffins and apple painting and especially apple themed activities that get kids moving!! 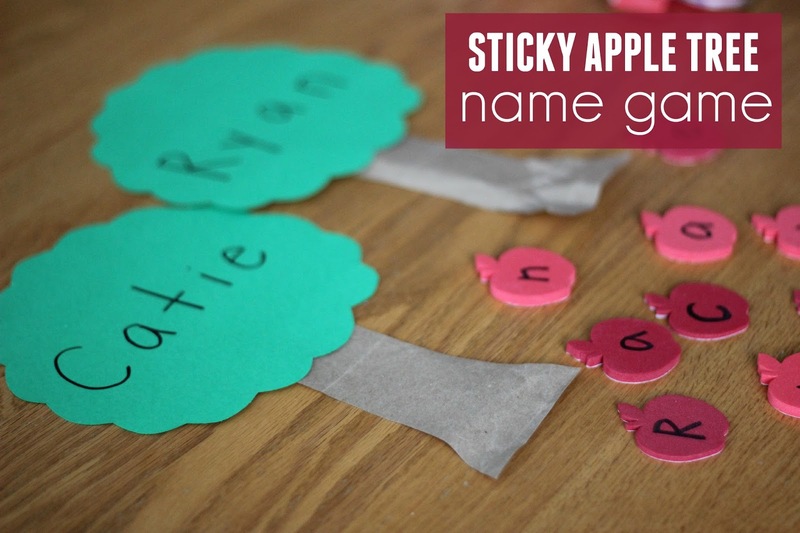 Last year we did a build my name apple tree game and this year we've created a sticky apple tree name game that gets kids moving while hunting and matching letters! 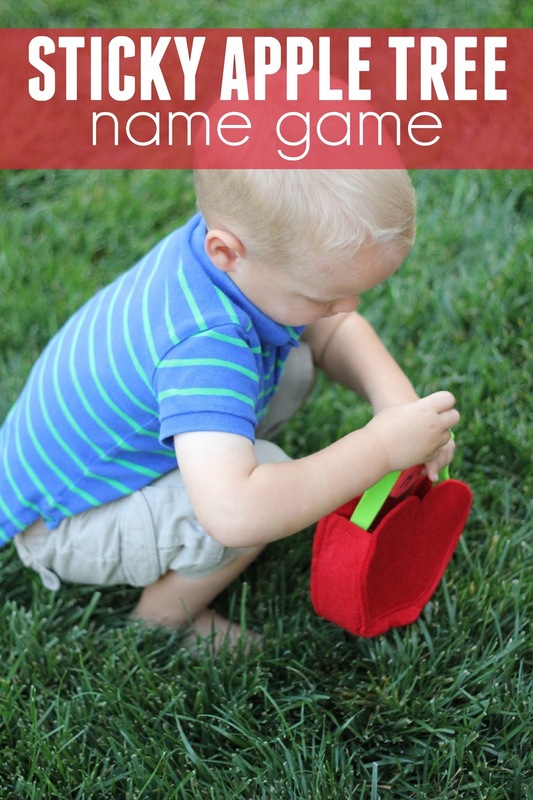 To set up the game you first need to make an apple tree for each child. We built ours with brown and green paper and scissors and tape. Next we wrote the letters of each child's name on an apple tree and then we wrote the same letters on the foam apple stickers! 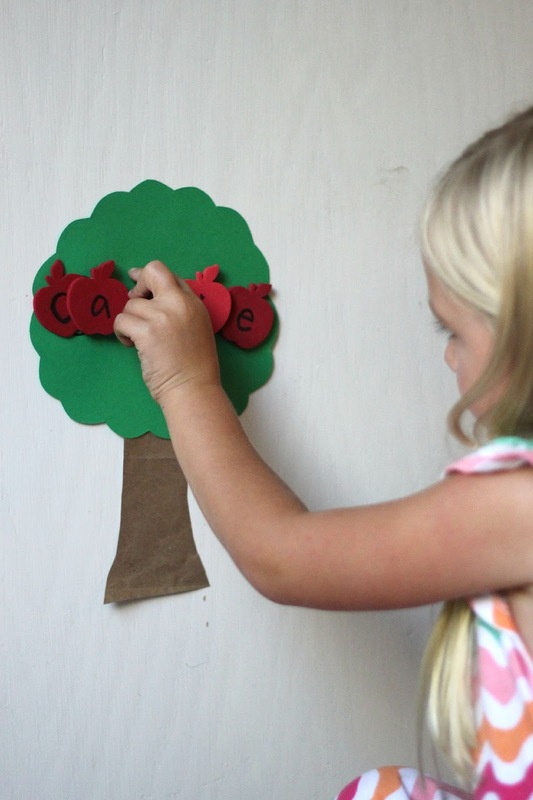 Make sure that each letter on the tree has a corresponding foam sticker apple with a letter on it! After that I hid the foam apple stickers in my backyard on the grass and sent the kids out to ONLY look for the letters in their name! You can easily do this indoors as well. 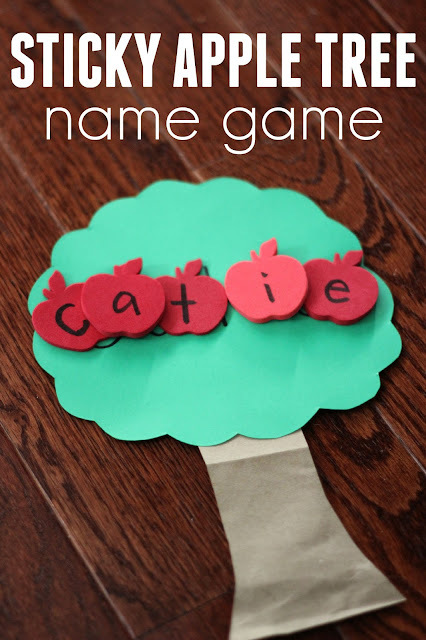 Once the kids collected all of their fallen apples from their name then they found their apple tree and matched the lettered apples to the letters on the trees. While each child matched the letters I encouraged them to say the letter name and sound aloud. The kids loved this super simple apple name activity and the foam stickers could easily be pulled off and stuck on again a few times (before losing their stickiness). If you want to make this game more durable, use laminated paper apples and velcro. Want more apple themed activities? 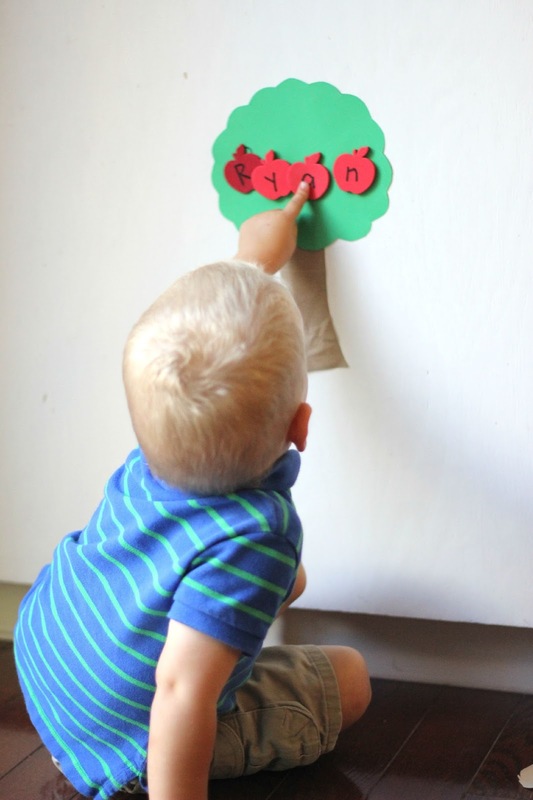 Check out our 10 favorite apple crafts and activities HERE.